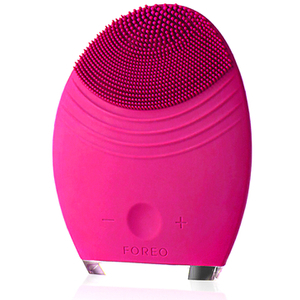 LUNA 2 is a revolutionary facial cleansing and anti-ageing brush which channels 8000 T-Sonic™ pulsations a minute through soft silicone touch-points to reveal a brighter, more radiant complexion. ISSA™ electric toothbrush combines Sonic Pulse Technology and a unique silicone brush head to gently yet effectively clean sensitive teeth and gums. 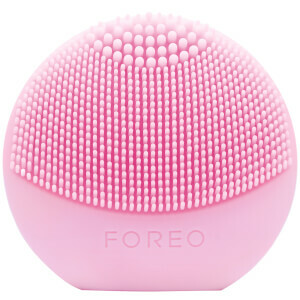 LUNA™ mini 2 is an enhanced T-Sonic™ compact facial cleansing brush with 8 adjustable intensities for a fully customisable cleansing experience. LUNA 2 is an enhanced T-Sonic™ face brush and anti-ageing system designed to eliminate blemishes while effectively addressing concerns related to ageing skin. 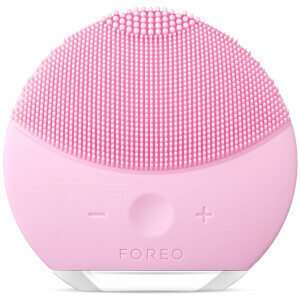 Upgrade your skincare and oral care routine with FOREO's range of innovative solutions. Discover the award-winning LUNA™ facial cleansing devices which channel T-Sonic pulsations through soft silicone touch-points to leave you with a smoother, more radiant complexion tailored to your skincare needs.